Today, fiber reinforced composites are in use * properties of different component (fiber, in a variety of structures, ranging from space- matrix, filler) materials; craft and aircraft to buildings and bridges. * manufacturing techniques; This wide use of composites has been facili- * analysis and design; tated by the introduction of new materials, * testing; improvements in manufacturing processes * mechanically fastened and bonded joints; and developments of new analytical and test- * repair; ing methods. Unfortunately, information on * damage tolerance; these topics is scattered in journal articles, in * environmental effects; conference and symposium proceedings, in and disposal; * health, safety, reuse, workshop notes, and in government and com- * applications in: pany reports. This proliferation of the source - aircraft and spacecraft; material, coupled with the fact that some of - land transportation; the relevant publications are hard to find or - marine environments; are restricted, makes it difficult to identify and - biotechnology; obtain the up-to-date knowledge needed to - construction and infrastructure; utilize composites to their full advantage. - sporting goods. 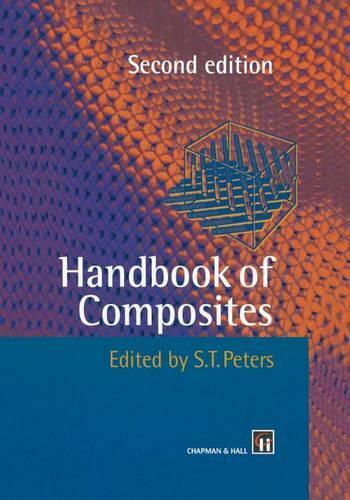 This book intends to overcome these diffi- Each chapter, written by a recognized expert, culties by presenting, in a single volume, is self-contained, and contains many of the many of the recent advances in the field of 'state-of-the-art' techniques reqUired for prac- composite materials. The main focus of this tical applications of composites.